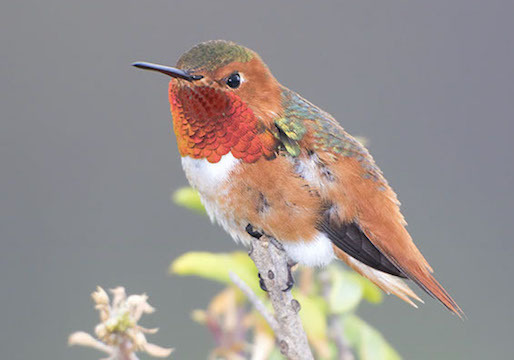 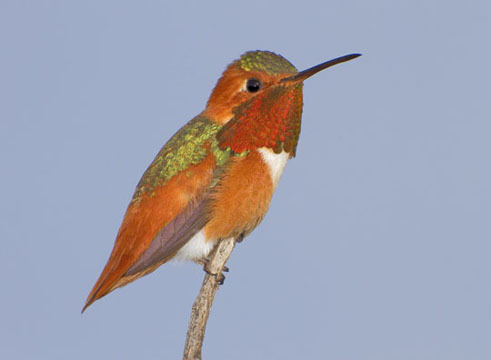 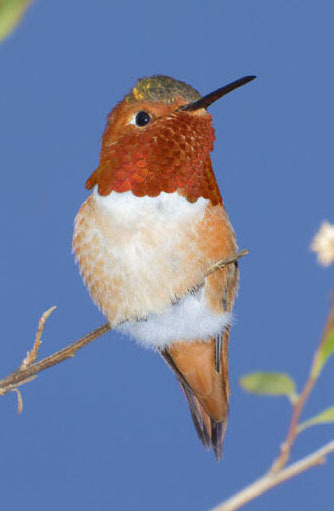 Allen's hummingbirds very closely resemble rufous hummingbirds, except that male Allen's usually have a green back instead of the usually rusty-red back of the male rufous. 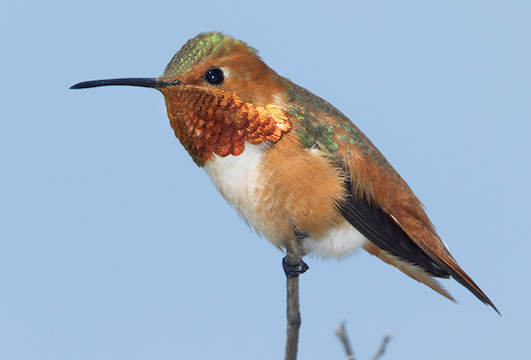 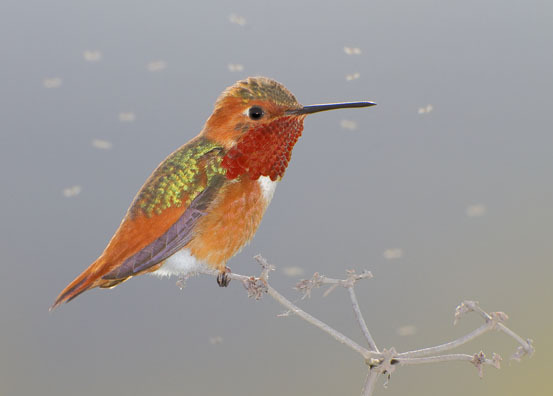 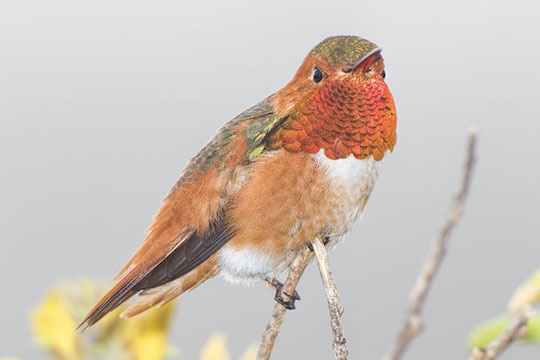 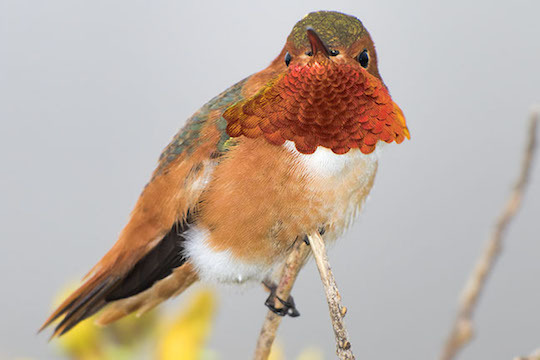 Females of the two species are nearly impossible to separate in the field, but there usually isn't much range overlap except in spring and fall, when rufous hummingbirds are migrating. 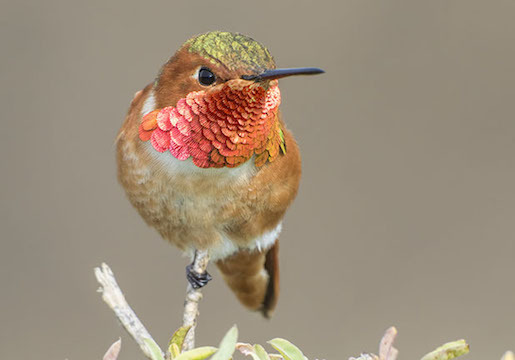 Allen's has a very limited range, mainly in coastal California, where these photos were taken. 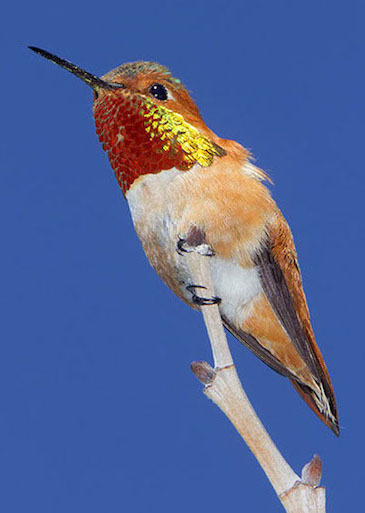 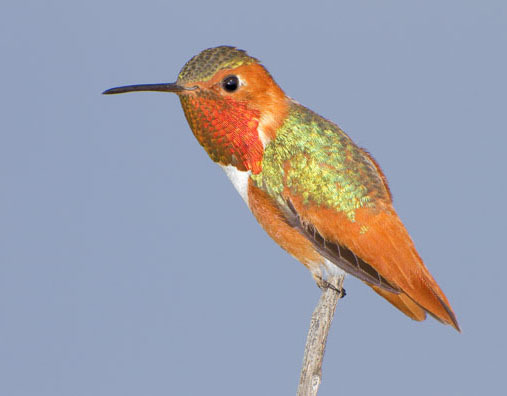 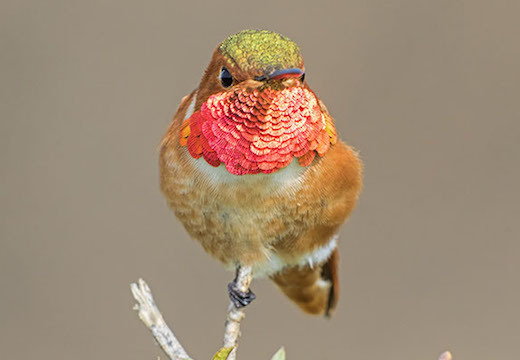 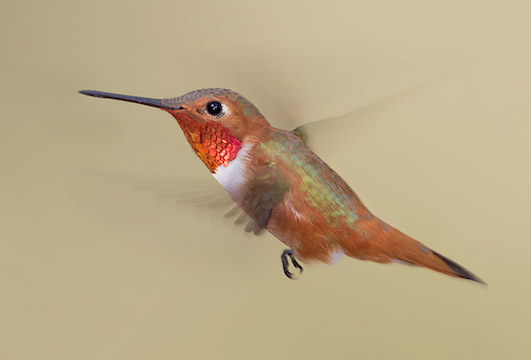 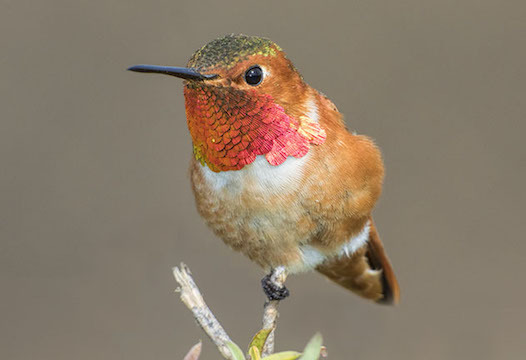 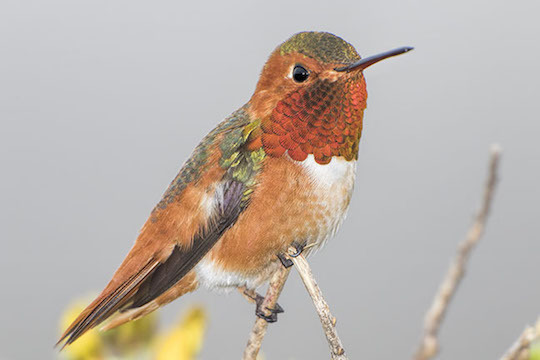 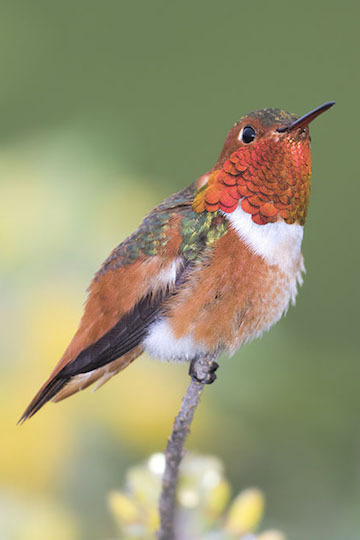 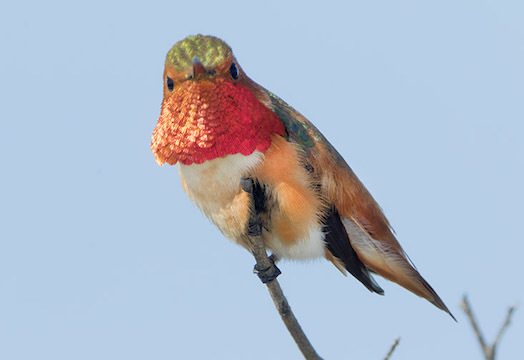 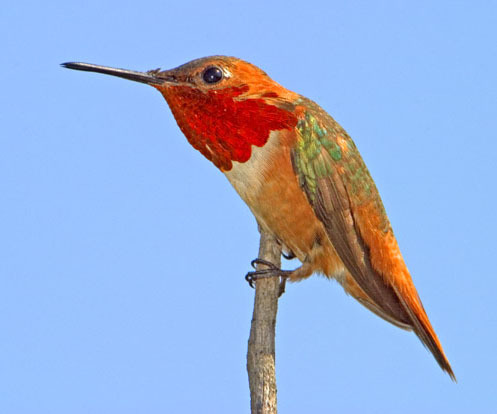 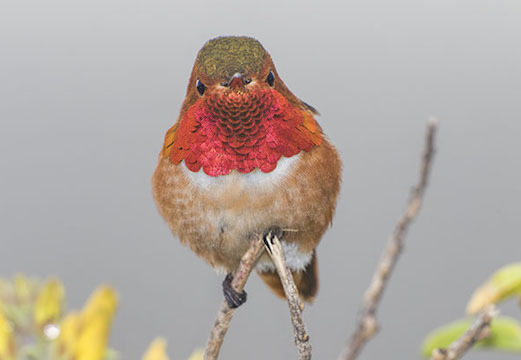 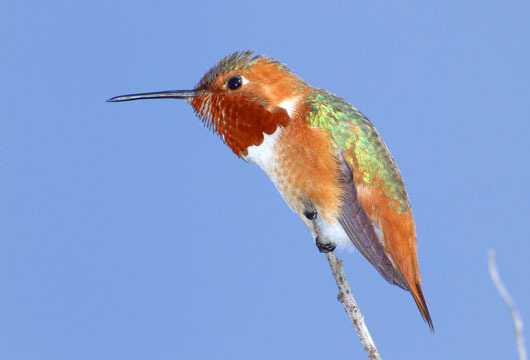 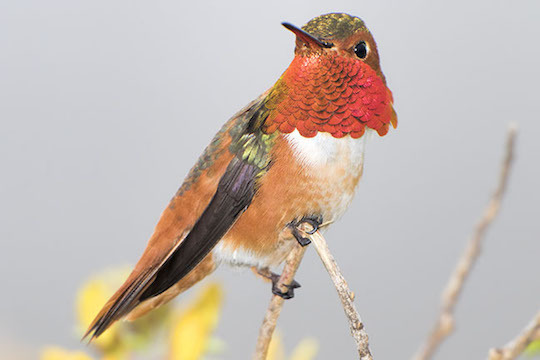 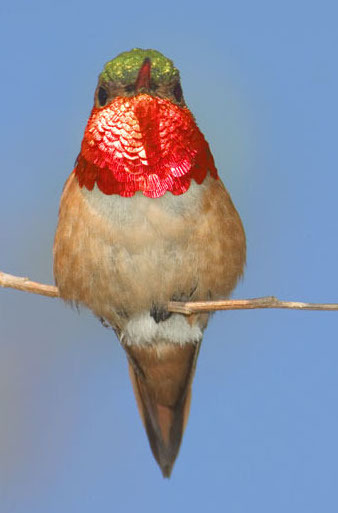 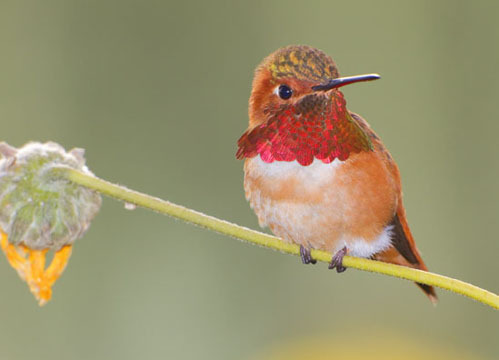 As with other hummingbirds, their gorget colors are structural (not based on pigmentation) and consequently light has to be coming from the correct direction to see the full effect. 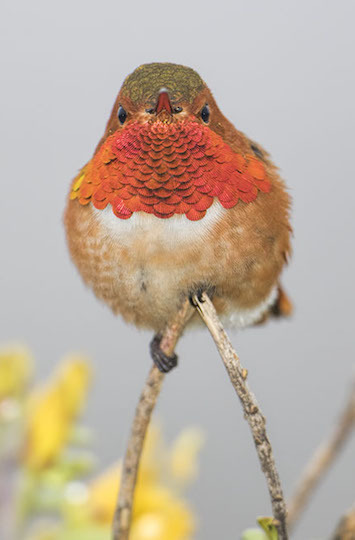 These pictures show the fire-red color of the Allen's gorget but most don't show the brilliant glittery accents that occur in the best light. 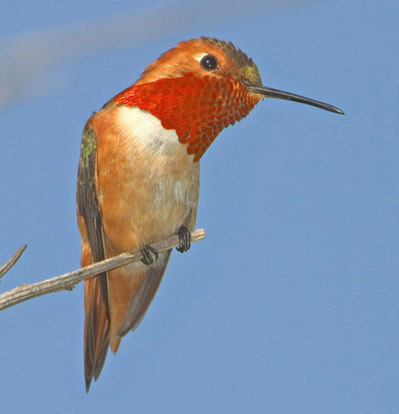 These males were perching low along one of the trails in Newport Back Bay or nearby Bolsa Chica wetlands in coastal Orange County. 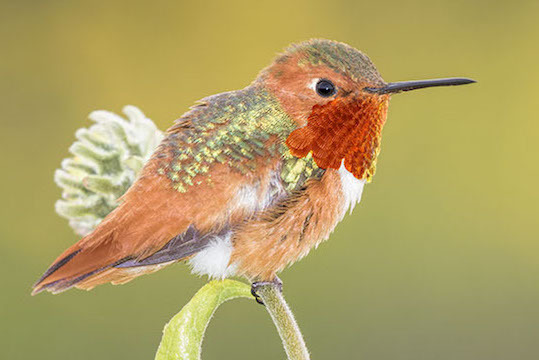 The main problem in taking the pictures was the highly aggressive and territorial nature of male hummingbirds, which resulted in constant bickering and attack flights that gave little time to aim and focus.